Barlows Agri will be at the 2018 Cheshire Ploughing Match. Come along and see us at the 2018 Cheshire Ploughing Match on Wednesday 26th September. The event is on from 9.00am to 5.00pm and the competition starts at 10.00am. Admission is £10.00 and there is free parking. Entry is free to children in full time education. By kind permission of the RICHARDSON FAMILY AND THE CROWN ESTATE. 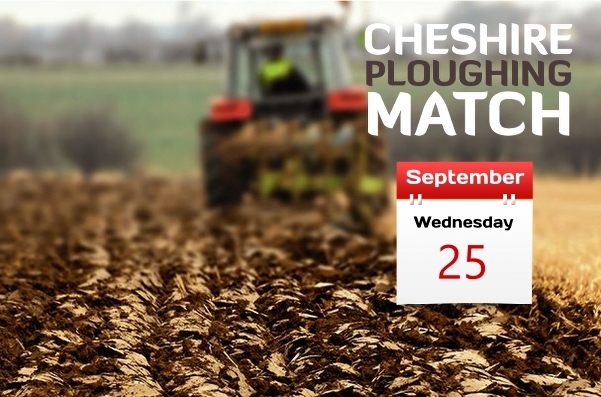 For further information contact us or visit the Cheshire Ploughing Match website.